The Commonwealth Aircraft Corporation Wackett Trainer was the first Australian design to enter mass production, and was the first in-house design of CAC following its formation to build the Wirraway. Designed to meet a RAAF pre-war specification for a 2 seat monoplane elementary trainer, the Wackett was the only indigenous design to see production during World War 2. The Wackett had a cockpit layout similar to the Wirraway, and although the Wackett had a fixed undercarriage it had a dummy lever to allow trainee pilots to become familiar with the control in aircraft with retractable undercarriage, such as the Wirraway. Consisting of a fabric covered steel tube fuselage, and wooden wings, the creation of the Empire Air Training Scheme and standardisation on the Tigermoth resulted in an order for only 200 production aircraft and many served as Wireless trainers in the RAAF. Servicing with the RAAF from 1941 to 1945, over 40 aircraft entered the civil register, and a further 30 served with the NEIAF prior to Indonesea’s independence, the first Australian design and made aircraft to serve in a foreign Airforce. The museum’s Wackett was sold to Mr J.T. Brown after the war for $136, and was acquired by the museum following a forced landing into the Melbourne Metropolitan Board of Works sewerage farm southeast of Moorabbin Airport in 1968. It is the 22nd production aircraft, and the oldest of 4 complete Wacketts remaining in Australia. 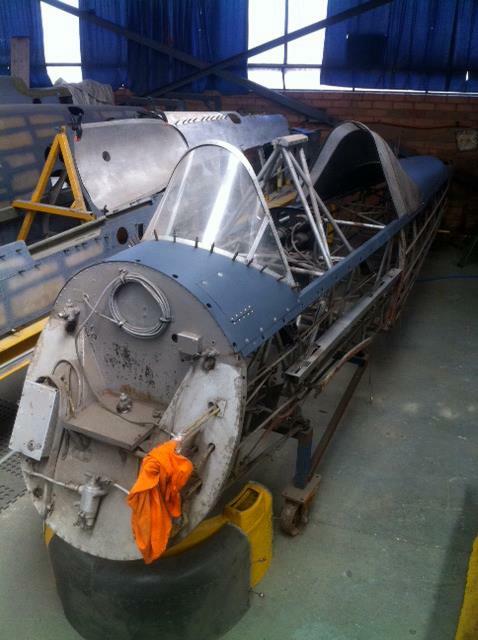 The Wackett is currently off display as it goes thru a conservation program. Photo June 2013.